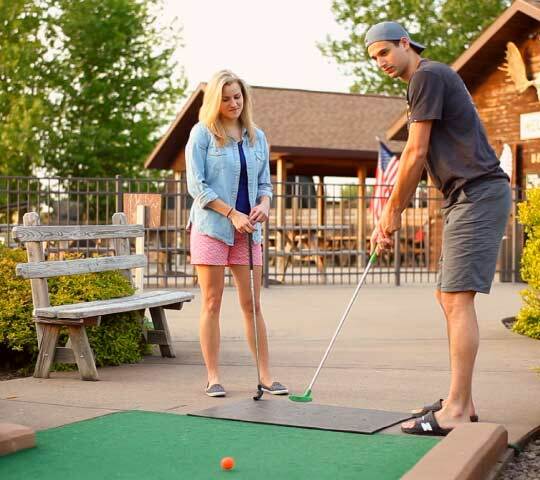 Activities | Explore all the fun things to do at Big Don's mini golf, laser tag and more! 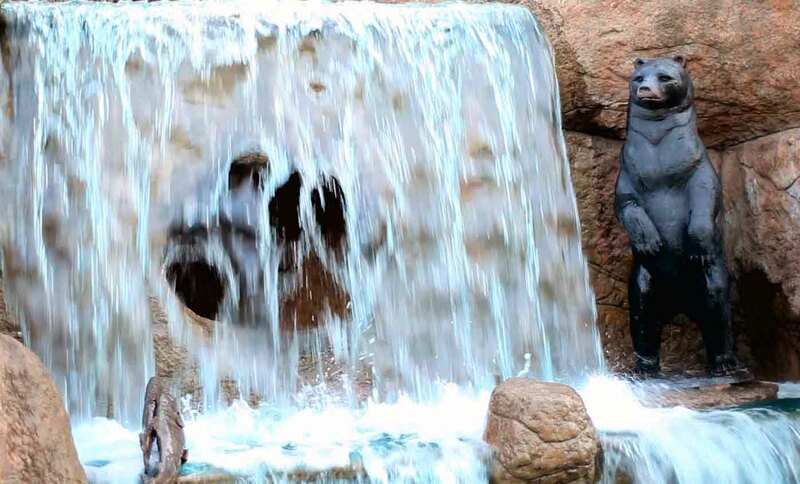 Big Don's offers a resort-level miniature golf course with 18 fun and challenging holes designed in an imaginitive wilderness setting. With hundreds of plants, cascading rivers, roaring wild animals and ambient nature sounds, you'll be transported to Central New York circa 1750. Our course is easy enough for youngsters but still challenging for adults. We are also handicap-accessible and have benches to rest at every hole so the whole family can experience the fun together and build lifetime memories in the great outdoors. Get Lost- Win a Prize! Big Don's Amaze'n Maze is a giant, 5,000 square foot labrynth of twists and turns and the only Amaze'n Maze in New York State. You'll be challenged to beat the clock and find hidden letters for the chance to win fun prizes. We have two sets of letters and our maze changes often so you can challenge yourself over and over to test your memory and skill. 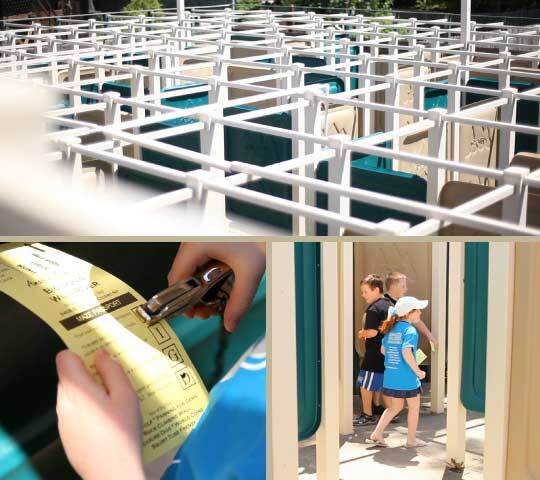 If you're still looking for more adventure after trying our maze, check out the Squirt Tube Frenzy! Prepare to get soaked in the Squirt Tube Frenzy, an adrenaline-pumping watergun battle that will keep you and your friends cool on a hot summer day. We have 10 refill stations inside the maze. Load up your squirt tube and get ready to drench your friends with an exhilarating blast of up to a half gallon of water in one pump. Parents, counselors, and group leaders can sit back and observe or get a tube and participate from our scenic overlook. Pan for gems in our 78' mining sluice. Find gobs and gobs of minerals, gemstones and fossils in every bag. We love to see the wide-eyed wonder on the faces of participants when they hear the best part... Everything you find is YOURS to keep! Search for coins from around the world with metal detectors just like you are on an actual beach. You can find and keep about 20 coins per session and no set of coins is exactly the same so you can start building your very own World Coin collection right at Big Don's! 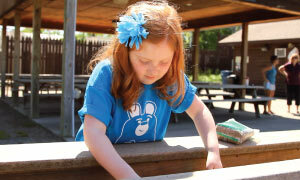 Children will have a blast searching for buried treasure in one of our 3 giant sand boxes. 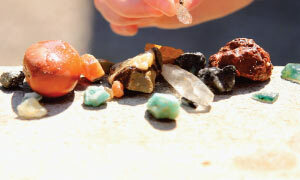 Sift and play to collect a mix of about 20 items consiting of polished gemstones, minerals, shark teeth, fossils, seashells and coins. . 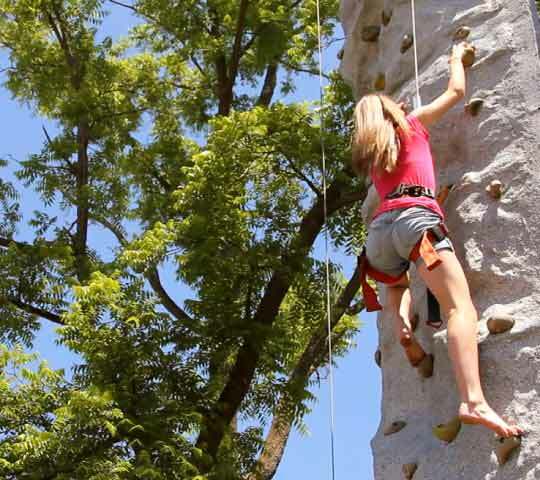 Whether you are a beginner or advanced, we have multiple paths to the top of our 25 foot rock climbing wall. The wall is molded from a genuine rock cliff face so you can test your strength and feel part of the great outdoors while you compete with friends or build team spirit by cheering each other to the top. Worried about safety? The wall safely belays you with a hydraulic powered harness and cables and our staff will guide you on your climb up and down. An interactive play world inspiring the imaginations of children ages 3-8 so your little cubs have something too! 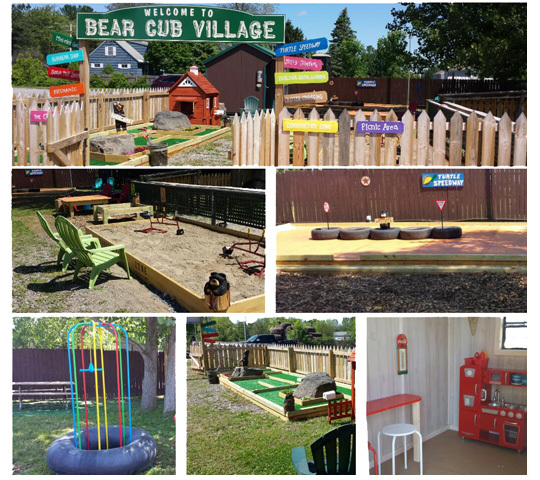 Bear Cub Village is a whole village of fun, featuring: A mini, mini golf course, a construction dig box, giant Lego building table, a turtle scooter track, jolly jumper, a bear cub club house, three themed play areas (barber shop, soda pop shop and auto repair shop) and an animal tracks discovery table. Plus ample seating for the accompanying adults! Enter the battleground and feel the adrenaline rush of tactical play and mission-based scenarios that bring your first-person shooter games to life. 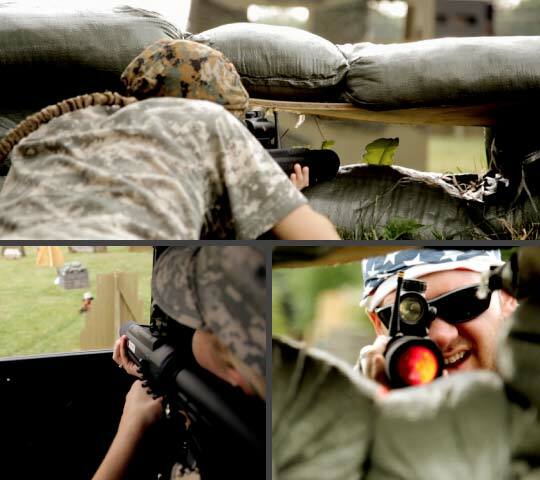 You will see why all other laser tag is mere childs play in comparison to our giant 40,000 ft outdoor arena (4 times the size of most indoor arenas) and state of the art equipment. Great for scout events, bachelor parties, team-building events and birthday parties, your friends will be talking for weeks about the exciting missions at The Battleground.